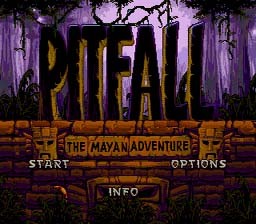 Play Pitfall: The Mayan Adventure Now! After days of traveling through the jungle, Harry Jr. and I have finally reached the heart of the ancient Mayan Empire. It's been a long journey, but the real danger lies ahead... For we are close to discovering the lost treasure of Vaxactun.